Shufen oversees Mandarin Leader’s client relationships and strategic partnerships. She also is involved in the annual nomination and selection process for Mandarin Leader honorees. Prior to Mandarin Leader, Shufen was the Executive Director of the China General Chamber of Commerce (CGCC) Chicago Chapter, where she led membership development, sponsorship, board relations, event planning/execution, and member engagement. 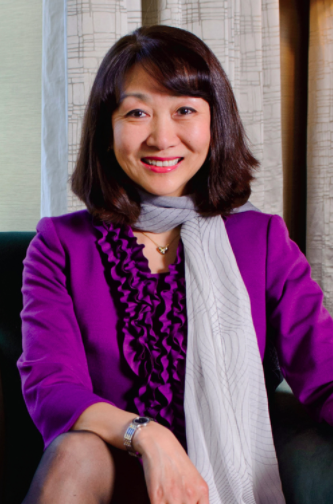 Before taking the top position at Chicago’s leading Chinese corporate business association, Shufen held leadership roles at the Executives' Club of Chicago, the Chicagoland Chamber of Commerce, the World Trade Center Illinois, and Chicago Sisters Cities International. Throughout all of these roles Shufen has planned and executed hundreds of business, investment, and government programs bringing together countless keynotes, panels, and guests. A proficient hospitality and events professional, coupled with being a confident public speaker and emcee, make Shufen the ideal person to plan and lead an event of any size and any topic. It goes without saying that her network of Chinese business, investment, and government leaders is second to none. Shufen is originally from Chengdu, the capital city of Sichuan Province, where she attended Sichuan Shifan University.